You are here: Home / Build A Music Website / SEO For Musicians, What It Is And Why It’s VITALLY Important! SEO For Musicians, What It Is And Why It’s VITALLY Important! Have you heard of SEO before? If not, you’re really going to want to pay attention to this guide! Using SEO can help you get a lot more targeted people hearing your music, and from an avenue a lot of musicians never pursue. Today I’m going to introduce you to what SEO is, the different types, why you should be using it, and some practical ways in which you can get stared with this process. 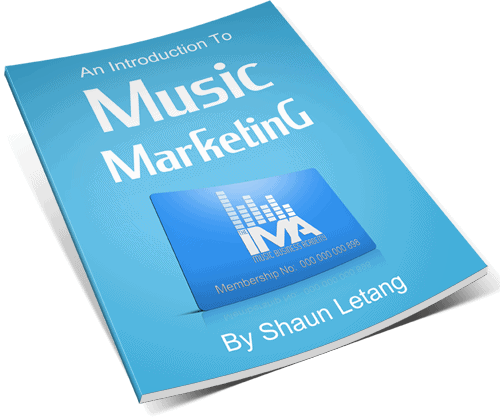 If you implement what you learn in this guide, you will open your music up to being found by a lot more people. What Does SEO Stand For, And What Is It? What Are Keywords, And Where Do They Fit In? SEO is short for ‘search engine optimization’, and it’s the processes of making your website get found by people using search engines. Doing good SEO will mean your website appears above others when people use search engines to find things of interest to them. If you don’t optimize your website for search engines however, chances are your website won’t appear when people search for things relevant to your genre. I hope that’s clear, but if not read on to get a better idea of what this process involves and how you can get started with it. If you’re to fully understand what SEO is and how to use it on your website, you also need to understand what keywords are. Keywords are the things people type in to find things in search engines. For example, if you want to know how to make a website for yourself as a musician, you may open up Google (or your search engine of choice) and type in ‘how to make a music website’. This is a keyword. Similarly, if people wanted to find out the best rockers in New York, the may search ‘best rock bands in New York’ or ‘top rock and roll acts in New York’ etc. Again, these are keywords. Now that you know what keywords are, let’s move on. SEO is important because it can bring you, a musician, more people to your website without you constantly manually promoting yourself. Imagine if people were finding your website every day through search engines, even if you gave other types of marketing a few weeks off. Wouldn’t this be ideal? Not that you ever really want to stop marketing your music, but I wanted to illustrate a point: once your website is properly SEOed and is ‘trusted’ by search engines, they will keep sending you traffic relevant to whatever it is your website talks about. In your case, the type of music you make. While you can use SEO to drive people to your website without manually trying to share your music in new places all the time, it’s not a substitute for other types of marketing. But it does complement them well. I’ll look more specifically at how you can use SEO to get more traffic to your website as this guide goes on. Before I look at what you need to do to make this work for you, I want to show you practical examples of how you’d want to use SEO. Your name. You want your website to come up first when someone searches your name. While this won’t help you draw in any new fans that don’t already know you, it will help in terms of your branding. If you have a unique name very few other people have, chances are ranking for your name will be quite easy. If you have a generic name as your music name however, it’ll be a lot harder to have your website appearing first when people search for it. You don’t want things not related to you come up when people search for you online, as a lot of people will give up trying to find you and move on to the next act. So be sure you rank for your name. If your name is to hard to rank for, you should seriously consider changing your stage name. Or at least use a nickname which you also promote that’s easily findable. Things related to your genre. This is where you start getting people find your website even if they haven’t heard of you personally before. The theory behind this strategy is this: You’ll want to get into the minds of listeners of your genre, and write articles based on what they are searching for. For example, let’s say you’re a rapper from Derby. You’ll want to write a guide on ‘top rappers in derby’, ‘who are the up and coming rappers in Derby’, ‘new music in Derby’ and the like. Make the titles more imaginative than that, but include keywords people will search for. 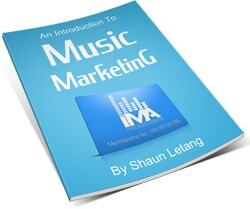 On each page, give the information you mentioned in the title, but also introduce people to your music. You already know they’re interested in that genre, now you just have to get them to hear you. While there are also other types of keywords you may want to target in future, these are the main two you should aim for initially. Including your keywords within your page. If you don’t mention the keyword within your page, search engines won’t know your page is relevant to that keyword, and you won’t show up when people search it. Give the best resource for that keyword possible. Search engines like to give their users the best result they can find for any given keyword. So if you want to rank at the top of search engines for specific keywords (which will get more people finding you) you’ll want to give a better page than the other ones that currently come up. Make your site relevant to everything you talk about. 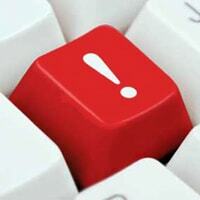 If you write one page on a subject, you have a chance to rank for keywords related to that subject. But if you cover that subject in detail on multiple pages on your site, breaking things down well and linking all the guides together for everyone to see, you’ll have a much better chance of ranking highly for relevant keywords. If you do all these things, you will increase the chances search engines will rank you for more terms and send you more potential fans. Find out where your audience hangs out online. Get involved with the discussions, and leave the odd link back to your website where it’s relevant. A percentage of people will follow that link back (as it’ll be useful) and you’ll start getting more direct traffic to your website as well as more search engine traffic if you keep this up over time. 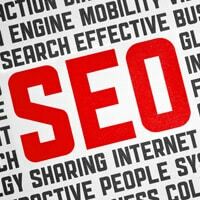 Do the above three things and it’ll help with your overall SEO. Just so you know, getting search engine traffic isn’t an overnight process. If you have a new website, it often takes months before search engines trust you enough to start sending you traffic. It’s because of this that you’ll want to continue your marketing as normal, so you can get people to hear your music in other ways before your search engine traffic picks up. If you’ve had your site for a while though, it may be possible for you to start seeing results quite quickly once you implement all the above tips in this guide. So there you have it, what SEO is, why it’s important, and how to get started with it. Have you heard of SEO before? And if so, how do you use it in your music career? Do you have any questions about this process? If so, let me know in the comments. – Use these and Google will most likely list you a lot faster. Good tips Sharron, I personally use All In One SEO Pack for sites I’m not running on the Genesis theme. They have built in SEO options.